From the goons who brought you the Unofficial Dancefestopia Pre Party! 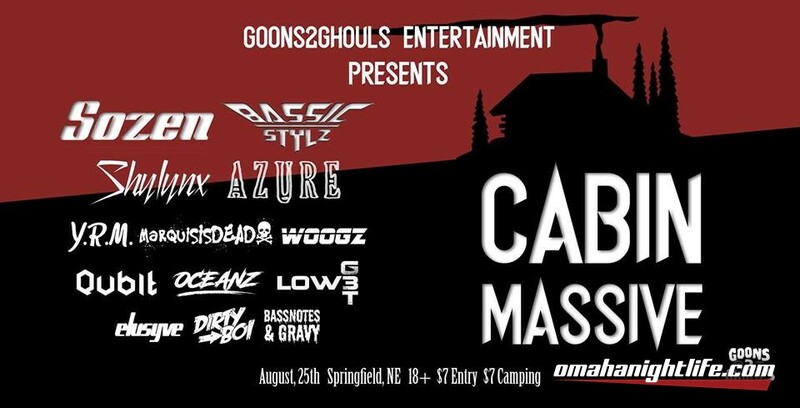 Goons2Ghouls presents the very first official Cabin Massive! featuring a WIDE variety of music from Dubstep to House, all the way to Hip-Hop! 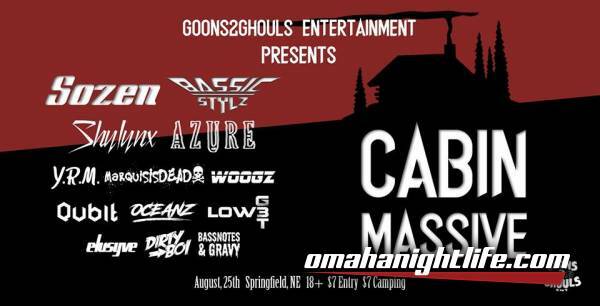 located right off the Platte River in Springfield NE, Cabin Massive is going to be the perfect way to end summer! *This will be an 18 and older event. Persons 21 and older will be allowed to bring alcohol onto the property as this will be a BYOB event. The party will start at 5:00 pm Saturday afternoon and will go until 2:00 am Sunday morning. This year we will have 3 portable restrooms on site. The event will be one night of music along with camping available (camping spots are limited). There will also be 5 licensed security guards roaming the property at all times. There will be no drugs and or underaged drinking aloud! We are bringing you this new annual event for everyone to have a special and beautiful night surrounded by great music and better company! 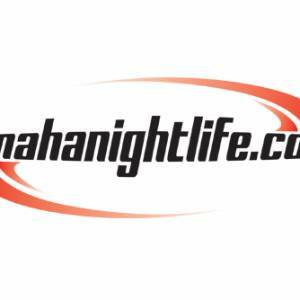 So be safe, enjoy the views and catch some of Omahas hottest Dj's!